Ford Explorer Sport is dead and the ST variant now kicks in. 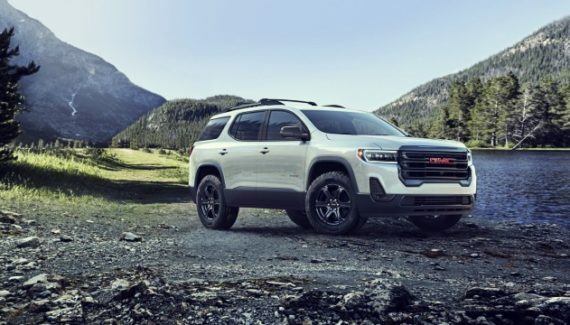 A high-performance variant was showcased at the 2019 Detroit Auto Show and it looks astonishing. 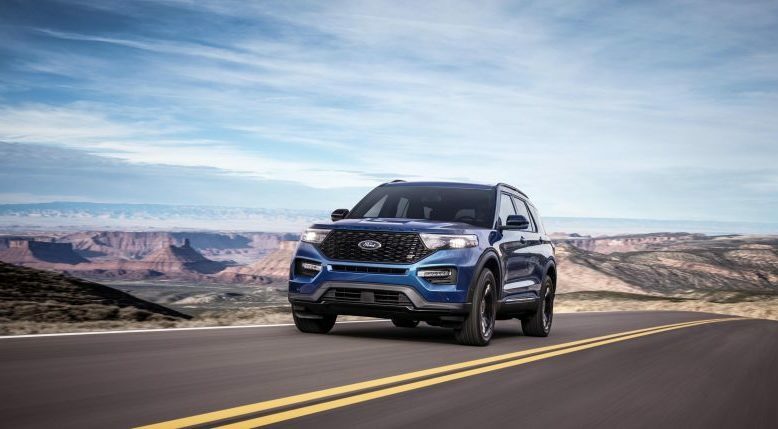 The 2020 Ford Explorer will arrive as a three-row crossover with the twin-turbocharged engine and the 10-speed automatic transmission. Previous speculations were saying the upcoming Explorer ST will go rear-wheel-drive. However, Blue Oval carmaker will offer an all-wheel-drive setup as standard. Moreover, the customers will have ST Street and ST Track packages to opt for. Both packages are offering 21-inch wheels, high-performance brakes, and red brake calipers. 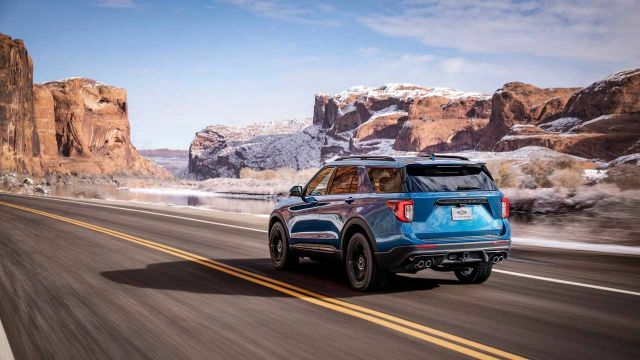 The forthcoming 2020 Ford Explorer ST comes with the extremely modern and unique exterior design. As any other Ford’s ST version, this one also looks sporty. The aerodynamics are truly great. Visually, ST departs from the base Explorer model in so many ways. For an instance, Explorer ST adds some specific features such as the black-mesh grille and unique lower fascia. On top of that, roof rack rails, all-new side panels, and black tailgate appliqué are in the offer. Ford also offers ST Street and ST Track packages. With these packages, you’ll get 21-inch wheels, high-performance brakes, and iconic red brake calipers. Most of the interior details were revealed but full details are yet to be announced. 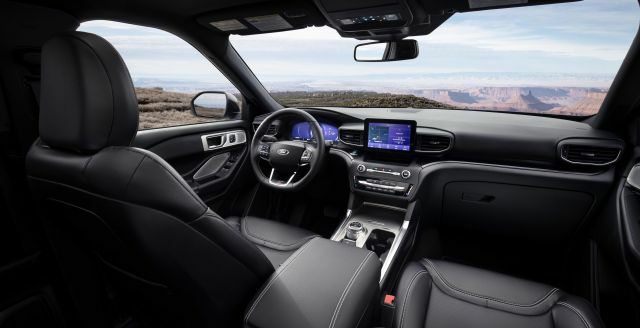 From what we saw, the 2020 Ford Explorer ST will offer a premium cabin with upscale features and materials. A flat-bottom steering wheel, bolstered leather seats with contrast stitching and special floor mats are all standard. Moreover, the crossover adds a 12.3-inch digital gauge cluster. Ford’s new active park assist is a modern parking system that is available as well. Trailer tow package is optional and ST variant comes with higher seating position than the base model. The 2020 Explorer ST will offer three rows of seats for seven passengers. Standard Ford Explorer model comes with the 3.5-liter V6 engine. 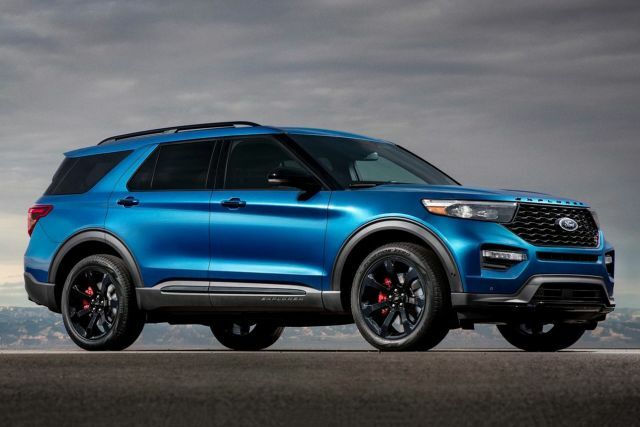 Unfortunately or not, this unit can’t produce enough power for a high-performance variant such as 2020 Ford Explorer ST. For that reason, Blue Oval carmaker will offer a 3.0-liter twin-turbo V6 just like the rumors were saying months ago. This engine comes with the 10-speed automatic transmission and it can produce 400 horsepower and 400 lb-ft of torque. 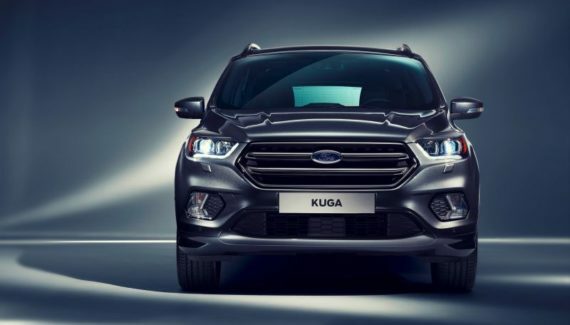 According to Blue Oval carmaker, the crossover can reach a top speed of 143 mph. The speculations were also saying the new Explorer ST will arrive with the rear-wheel-drive setup. However, Ford is offering an all-wheel-drive configuration as standard. Hopefully, a rear-wheel-drive system will be in the offer as well, but we don’t have that information for now. Even a hybrid variant is an option, and hybrid variant will arrive in Police Interceptor model for now. No doubt, ST will be the most expensive Explorer’s trim. 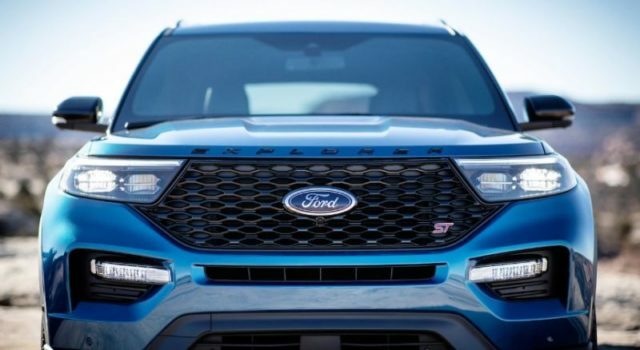 The base 2020 Ford Explorer will cost $32,500 and the Ford Explorer ST about $50,000. This crossover will go on sale later this year and ST version will arrive at the same time as the base model.